Have you ever wondered how energy efficient your home is? Are there easy changes you could make to save resources and money? 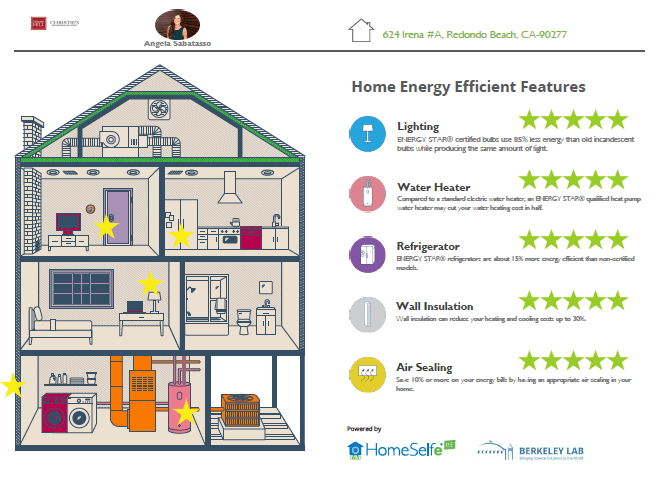 As a Green Designee, I use an energy saving app to create digital mock ups of homes, guiding you to the key areas that contribute to your energy bill. Walk through your home and answer questions at your own pace. Once complete, you'll get a free instant report. Together, we can make conscious choices to create a more sustainable community. You can also discover opportunities for rebates! Win, win! Here is a quick example of a home that is currently for sale in Redondo Beach, CA. Please note that not all information is known, therefore this report is not completely accurate and only is intended to serve as an example of the app's capabilities. 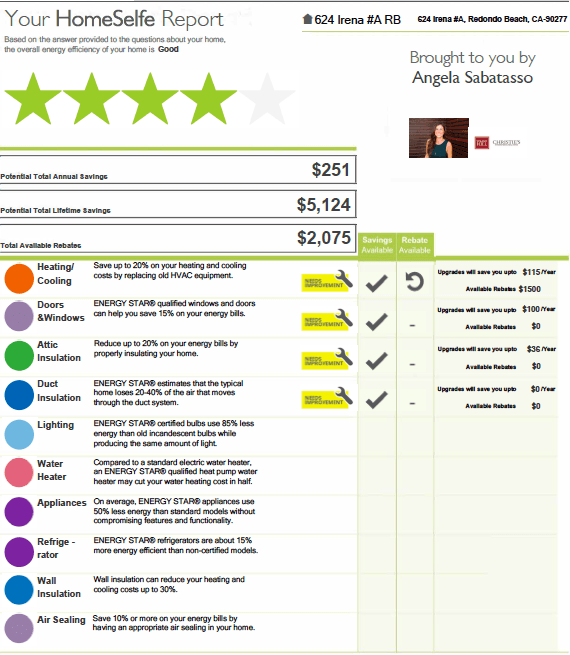 If you are looking to buy a home, I'll help you compare the energy footprints of homes and plan for energy saving solutions. If you plan to sell your home, when you list with me I will make sure to highlight any and all green features of your property. Many listings overlook the benefits of highlighting green features, but it is important to realize the value in not only preserving our earth but saving money. I will input all your energy efficient features into the GREEN section of the MLS I am proud to have watched come to fruition in the recent years. 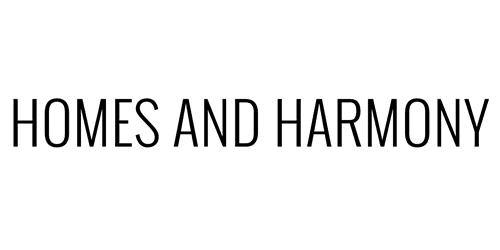 Please contact me to get your FREE report!